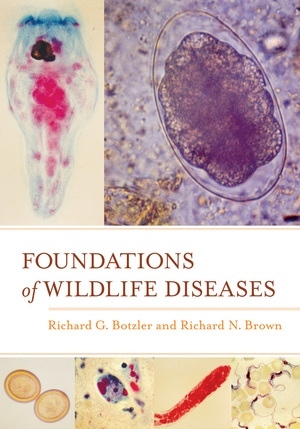 Foundations of Wildlife Diseases is a comprehensive overview of the basic principles that govern the study of wildlife diseases. The authors integrate theoretical foundations with a thorough examination of the factors that can affect the health and fitness of animals. They include specific information on a wide array of infectious agents such as bacteria, viruses, arthropods, fungi, protista, and helminths, as well as immunity to these agents. Also provided is a foundation for the study of noninfectious diseases, cancers, and prion diseases that affect wildlife. Supporting students, faculty, and researchers in areas related to wildlife management, biology, and veterinary sciences, this volume fills an important gap in wildlife disease resources, focusing on mammalian and avian wildlife while also considering reptiles and amphibians. Richard G. Botzler is Professor Emeritus at Humboldt State University and coauthor of Environmental Ethics: Divergence and Convergence (2003). He taught the two courses that inspired this book: Principles of Wildlife Diseases and Advanced Topics in Wildlife Diseases. Richard N. Brown is Professor of Wildlife at Humboldt State University, where he teaches courses on wildlife diseases.